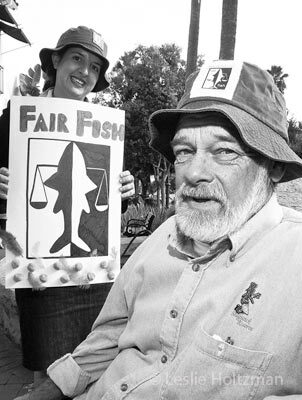 Rick Fellows, retired fisherman, and Juliana Shulman, field organizer for foodandwaterwatch.org. Who: Rick Fellows, retired fisherman, and Juliana Shulman, field organizer for foodandwaterwatch.org. What: Speak up for the FAIR FISH CAMPAIGN.